Dr Sada Mire is a Swedish-Somali archaeologist, art historian and presenter. Dr Mire holds a PhD from UCL’s Institute of Archaeology, London. 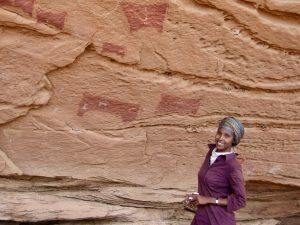 She is the only active Somali archaeologist, working in Somalia and Somaliland. Mire is currently completing three book projects. Her numerous publications include a dozen peer-reviewed articles in leading journals on some of her notable archaeological and theoratical contributions. She is a cultural theorist, who believes we need culture in times of war as articulated in her TEDxEuston talk Cultural Heritage a basic human need. Mire is one of 30 global writers and thinkers selected by the Hay Festival of Literature and the Arts in 2017. In 2017, the NewScientist Magazine selected Dr Mire as one of its most Inspiring Women in Science of all time. Sada’s popular work has appeared in The Guardian and Africa Forum as well as presenting programs and news for the BBC, Channel Four and appeared in panels. She is also the presenter and writer of the Leiden University MOOC course ‘Heritage under Threat’ at Coursera. Dr Mire’s work can be found in major international media including field documentaries and features with CNN, National Geographic, Chanel Four, UK, Futura Channel, BBC News, BBC Radio 4, The Guardian, The Sunday Times, NewScientist, Discover Magazine, and Vanity Fair Magazine. Dr Sada Mire at the International Somali Awards #ISA19 in April 3, London, where she received an award for Outstanding Educational Achievement. Her work deals with current global challenges such as sustainability, human diversity and peace, from the perspective of heritage, archaeology, art, development and rights. She’s currently studying fertility (prosperity) and peace-making (security) through religion and identity. Dr Mire uses a multidisciplinary approach to material culture, indigenous beliefs, practices and knowledge systems, including traditional systems of natural and cultural heritage management and ethno-medicine. She helped establish and direct Somaliland’s Department of Archaeology, which later became the Department of Tourism and Archaeology. 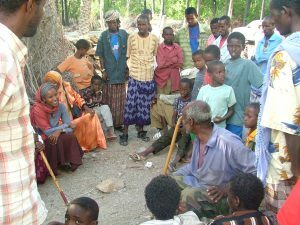 Later, she also founded Horn Heritage Organisation, a humanitarian NGO based in Hargeisa and active in the whole of the Horn of Africa. She directs its programs on cultural heritage and community development. Sada is currently a visiting professor at the faculty of archaeology, Leiden University, The Netherlands. She is also keen on digital heritage as an inclusive technology for communities, especially in conflict and post conflict zones, and for the researching, teaching and protection of heritage at risk. ​ Her area of focus is the Horn of Africa (Somalia/Somaliland, Ethiopia, Kenya Eritrea and Djibouti). 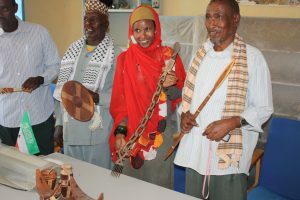 As part of her passion and humanitarian commitment to Somali heritage, education and development, Dr Mire promotes tourism and protection and management of cultural heritage. 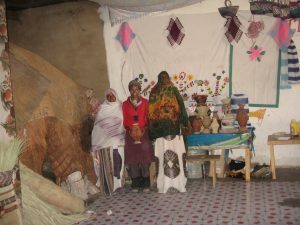 In 2006, Mire created the Somali heritage and Archaeology website (somaliheritage.org) with the purpose of developing Somali people’s pride in their shared heritage. Sada grew up in Mogadishu, Somalia. With her sister Sohur Mire (a medical doctor/OBGYN), she ended up in an orphanage college in Mogadishu as a result of a number of hardships her family faced at the time. During the civil-war, she fled to Sweden with her sister as unaccompanied child refugees in the end of 1991. 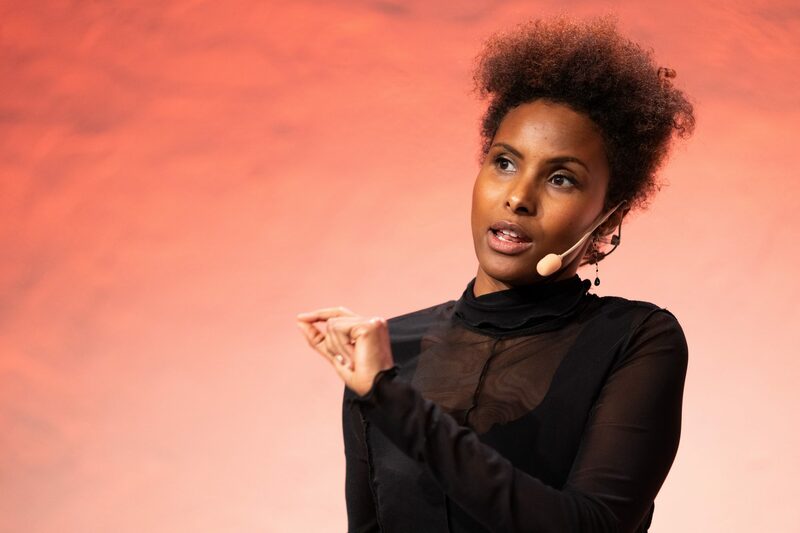 Part of Sada’s personal and professional story was told in an episode of the CNN documentary series African Voices, aired in 2011 as well in Luis Nachbin’s 2015 documentary, Sada and Somaliland for Futura Chanel.